Useful information and best practices on the “Europe for Citizens” Programme of the EU. 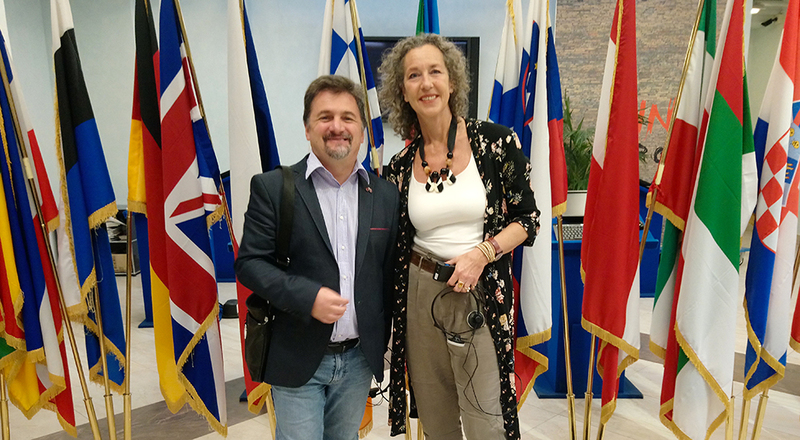 On the 16th of October, Tibi Rotaru and Annigje Kruytbosch attended the conference organised by AICCRE on “Virtuous models of solidarity, inclusion and decentralised cooperation”, held in Rome. Welcoming speeches were given by the president of AICCRE, the acting Head of the Representation of the European Commission in Italy and the Director of the Information Office of the European Parliament in Italy. The conference was attended by many town twinning organisations. The main topic was how the “Europe for citizens” programme can help funding projects between towns. Douzelage towns have used this programme before and can use it in the future. The aim of this programme is: To contribute to citizens’ understanding of the EU, its history and diversity, to foster European citizenship and to improve conditions for civic and democratic participation, to raise awareness of remembrance, common history and values and to encourage democratic participation. A Technical Seminar was held by Mrs. Rita Sassu, senior expert Europe for Citizens Point, who informed and educated us about the Europe for Citizens Programme, showing us how to proceed and on which terms and topics. In the following workshop(s) best practices were discussed how to go from idea to theme, goal, partners and finally how to obtain funding for that goal. It was a vivid, motivated team of random nationalities, who – within the stretch of an hour – came up with interesting topics and ways to get them into practice. It was an inspiring conference, which brought us new insights and contacts, which could be helpful for future projects of Douzelage members. ← Elisabeth Dores, president of the Youth Douzelage selected to attend the World Festival of Youth and Students 2017 in Russia.